The building has been designed and developed with energy efficiency in mind resulting in a market-leading Energy Performance rating (EPC) A. 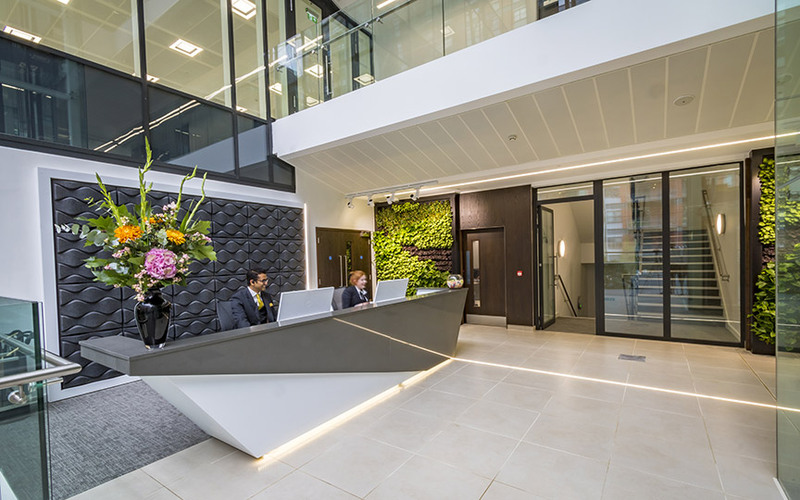 Central Square is the first UK office building to utilise a LOW CARBON SYNGAS CHP (Combined Heat & Power) Unit of which will generate the total hot water demand and provide electricity to the building. The size, flexibility & efficiency of the floorplates are designed to accommodate occupational densities up to 1:10 sq m but this can be enhanced to 1:6 sq m.
The building has a BREEAM OUTSTANDING rating. Central Square Leeds is at the pinnacle of sustainability for a Grade ‘A’ office building. High quality, restaurant/bar space up to 20,000 sq ft.